Chapter 1. The Advent of Biological Evolution and Humankind: Chance or Necessity? Can Adaptive Advantages of Bipedalism Be Identified? What About Phenotypic Geographical Variation? Introduction: Which Came First, Feelings or the Brain? Conclusion: Did “Quantum Feelings” Spark the Origin and Evolution of Life? Why Have Wilson's Views on the Importance of Multilevel Selection Been Largely Ignored by Evolutionary Biologists? The Taxonomical Problem: Are There “Races”? So, How Many Races Are There (if Any)? What Is Science and What Is Religion? How Do We Get to the Facts? Is There a Way for Science and Religion to Live Together? An Ancient Mode 2 in Asia? Chapter 45. Biology, Psychology, Ethics, and Politics: An Innate Moral Sense? What Can Be Learned From Our Response to HIV? Michel Tibayrenc, MD, PhD, has worked on the evolution of infectious diseases for more than 35 years. He is a director of research emeritus at the French Institut de Recherche pour le Développement (IRD), the founder and editor-in-chief of Infection, Genetics and Evolution (Elsevier), with a 2014 impact factor of 3.015, and the founder and principal organizer of the international congresses MEEGID (molecular epidemiology and evolutionary genetics of infectious diseases). He is the author of more than 200 international papers. He has worked for one year in Algeria (as a general practitioner), one year in French Guiana, seven years in Bolivia, five years in the United States, and three years in Thailand. He has been the head of the unit of research “genetics and evolution of infectious diseases” at the IRD research center in Montpellier, France, for 20 years. 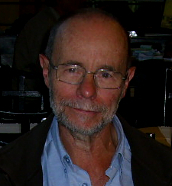 With his collaborator Jenny Telleria, he is the founder and scientific adviser of the Bolivian Society of Human Genetics (2012). He has won the prize of the Belgian Society of tropical medicine (1985), the medal of the Instituto Oswaldo Cruz, Rio de Janeiro (2000), for his work on Chagas disease, and he is a fellow of the American Association for the Advancement of Science (1993). Francisco J. Ayala is University Professor and Donald Bren Professor of Biological Sciences and Professor of Philosophy at the University of California, Irvine. Dr. Ayala is a member of the National Academy of Sciences (NAS), a recipient of the 2001 National Medal of Science, and served as Chair of the Authoring Committee of Science, Evolution, and Creationism, jointly published in 2008 by the NAS and the Institute of Medicine. Dr. Ayala has received numerous awards, including the 2010 Templeton Prize for “exceptional contribution to affirming life’s spiritual dimension,” and 23 honorary degrees from universities in ten countries. He has been President and Chairman of the Board of the American Association for the Advancement of Science and President of Sigma Xi, the Scientific Research Society of the United States. Dr. Ayala has written numerous books and articles about the intersection of science and religion, including Darwin’s Gift to Science and Religion (Joseph Henry Press, 2007), Am I a Monkey? (Johns Hopkins University Press, 2010), and The Big Questions. Evolution (Quercus, 2012). He is also the author, with Camilo J. Cela-Conde, of Human Evolution. Trails from the Past (Oxford University Press, 2007). He teaches classes in evolution, genetics, and the philosophy of biology, which are also the subjects of his research. 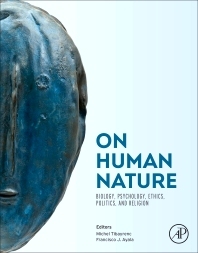 On Human Nature is a very interesting and amazing compendium that deepens about our origin, how our genome through millennia of evolution and adaptation has confer us an incredible capacity of survival and at an unsuspected population level. Equally interesting is how our culture and mind development has been adapting at our needs.